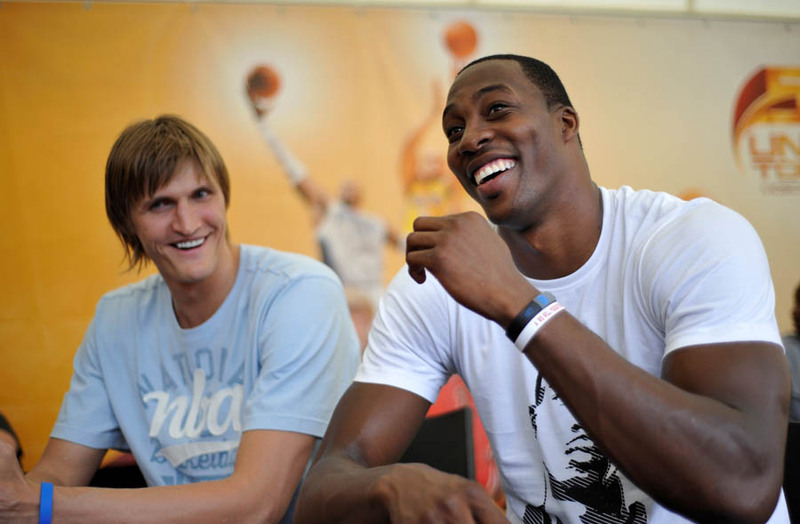 Dwight is joined by Russia's own Andrei Kirilenko at the NBA 5 United event in Moscow. 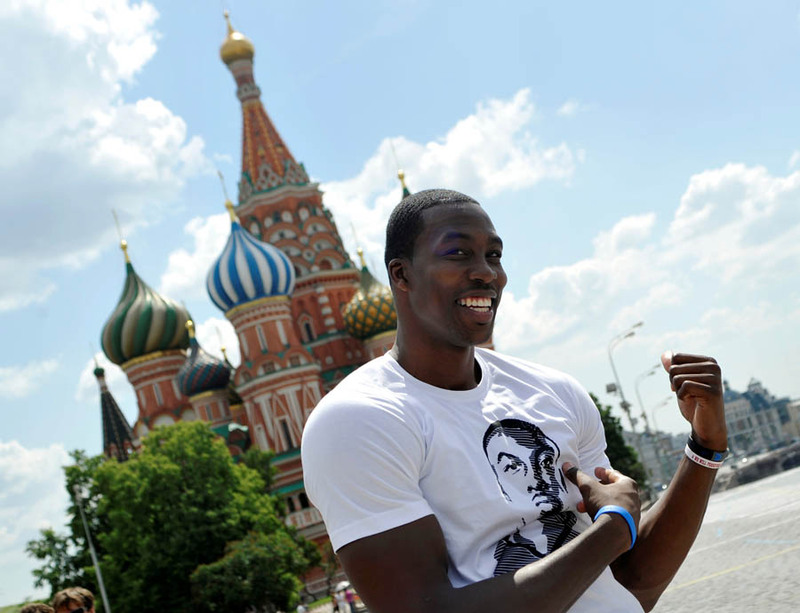 The second leg of Dwight Howard's European Tour with adidas Basketball took him to Moscow, Russia, as the latest stop on the NBA 5 United Tour brings the NBA experience to five different European cities throughout the summer. NBA 5 United features a 5-on-5 basketball tournament and several skills-related showcases, including an amateur slam dunk contest. 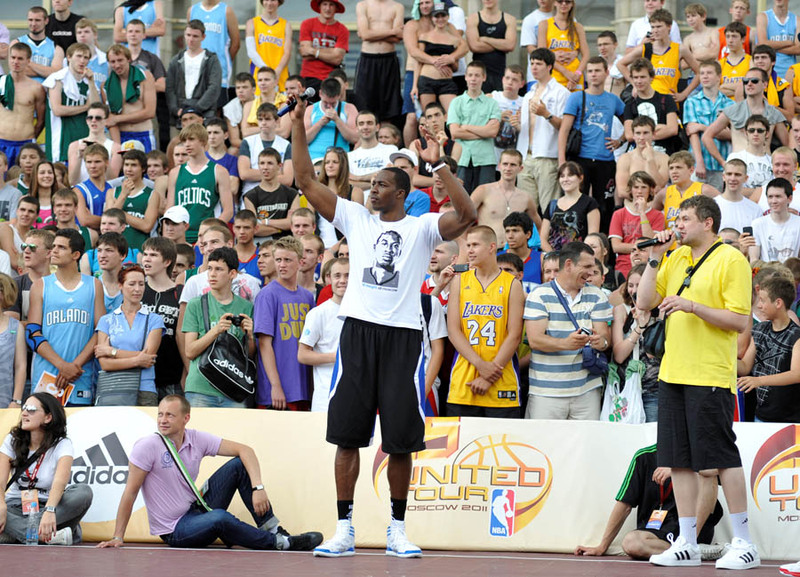 While in Moscow, Dwight met a crowd full of Russian fans, played a little hoops himself and judged the 5 United Slam Dunk Contest. 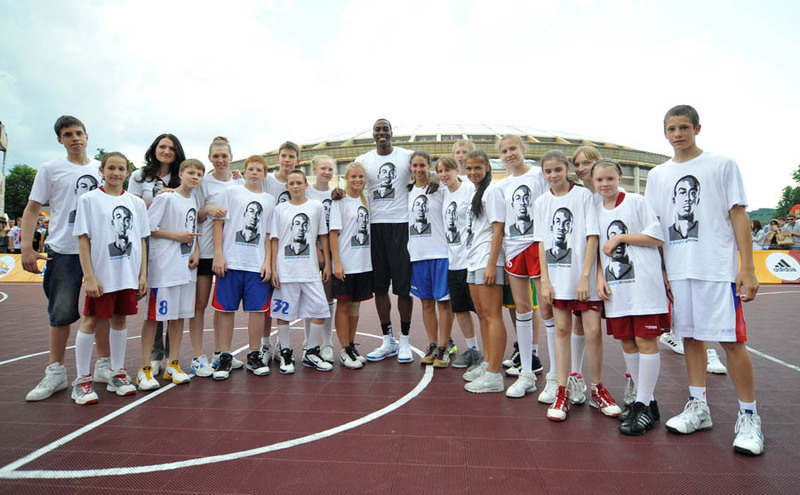 He was joined by fellow adidas athlete and Russia's own Andrei Kirilenko and New Jersey Nets dancers for the event at Luzhniki Stadium. 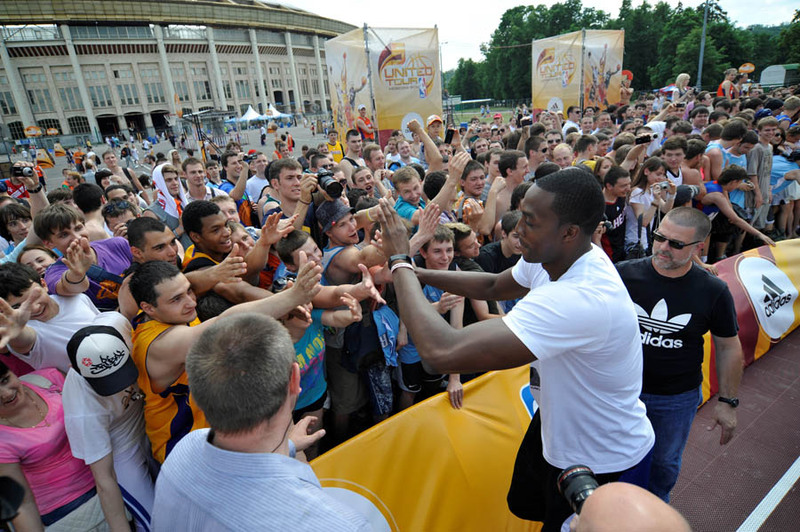 Earlier in the day, he took in some sightseeing at Red Square and visited the adidas NBA store in Okhontny Road to promote the adiZero Crazy Light basketball shoe. Next up, Dwight heads to adidas EUROCAMP in Treviso, Italy today to meet with the next top international NBA draft prospects, then heads to Athens to meet fans and check out the basketball scene on Tuesday and Wednesday. 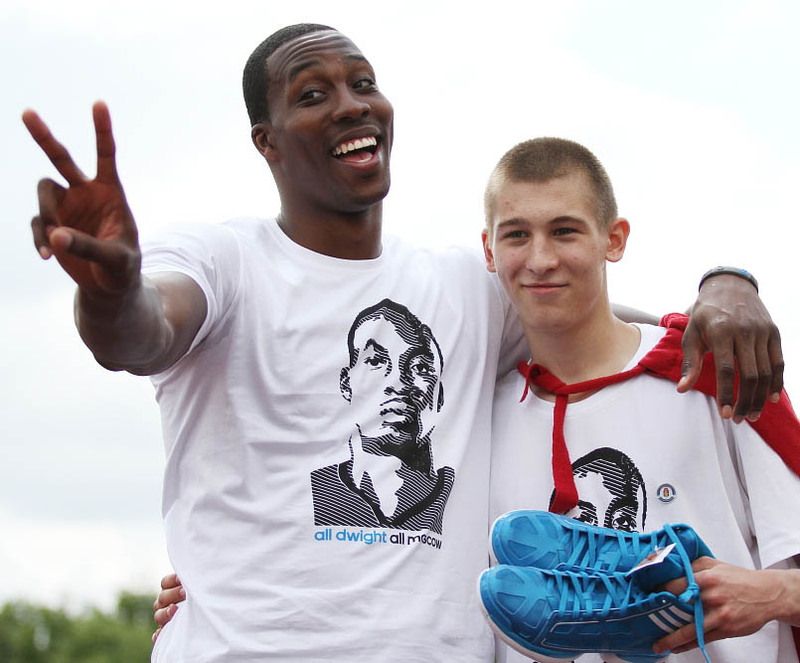 Check out a few photos of Dwight in Moscow courtesy of adidas. 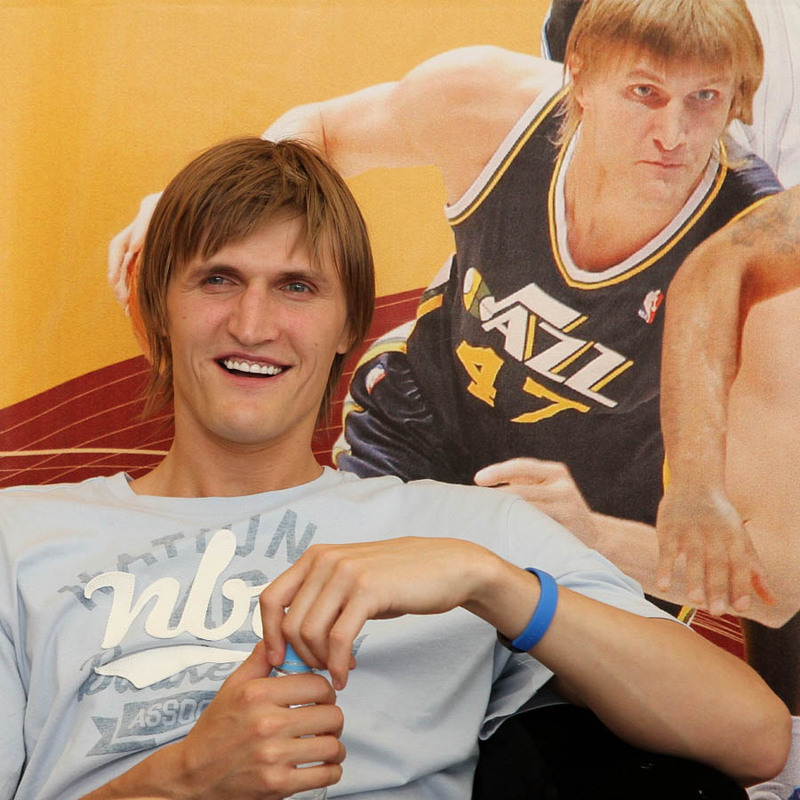 Additional images provided by Mikhail Shapaev.